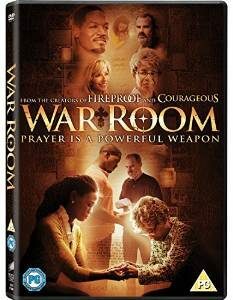 The theme of love is in War Room. We need to love the people around us. Loving them can achieve so much more than fighting them. Within the film there are some very humorous moments. There are also some very touching moments. I loved it and can highly recommend it. Prayer is powerful. Lives change when we pray. A fabulous movie. Seen this movie. This movie had me crying.